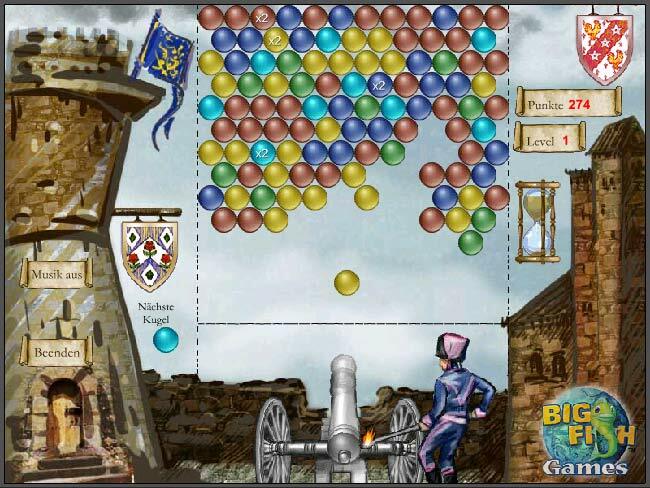 Blast chains of 3 or more like-colored balls in Cannon, an online Match 3 game. 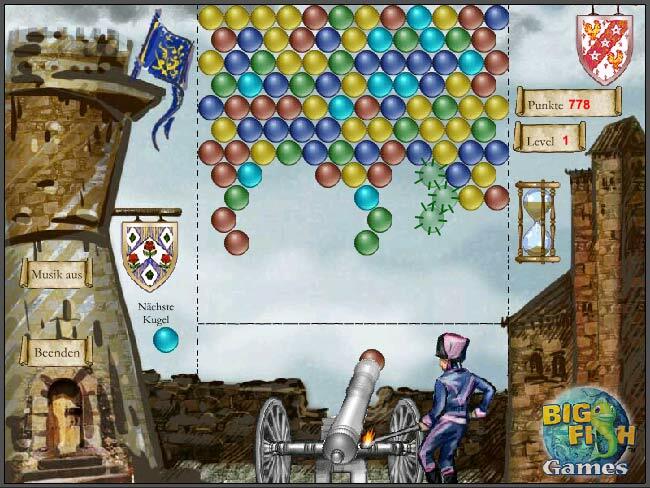 Use the arrow keys to aim and the space bar to fire. 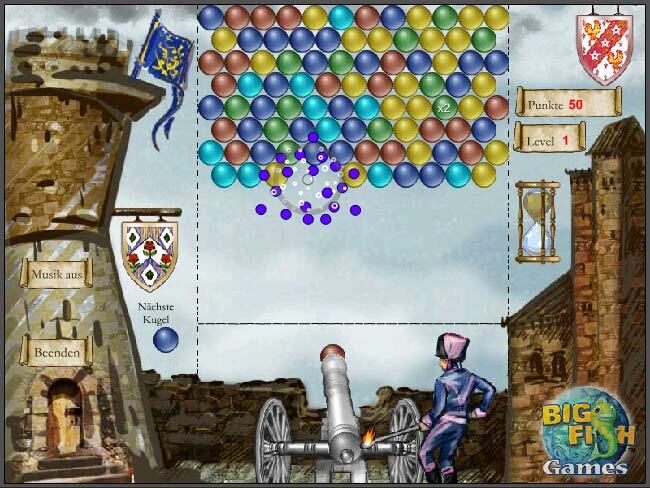 Ready, aim, fire your cannon!